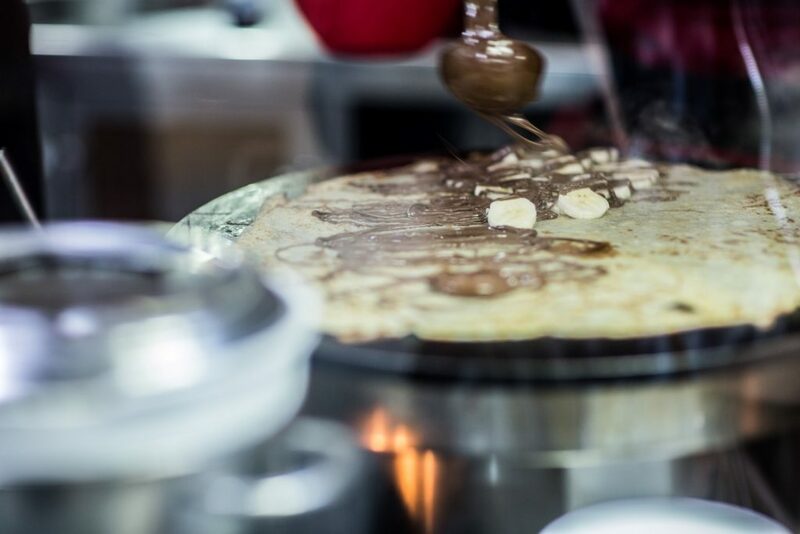 From coq au vin to crepes and Champagne, France has perfected the art of dining well and exported it to the world. 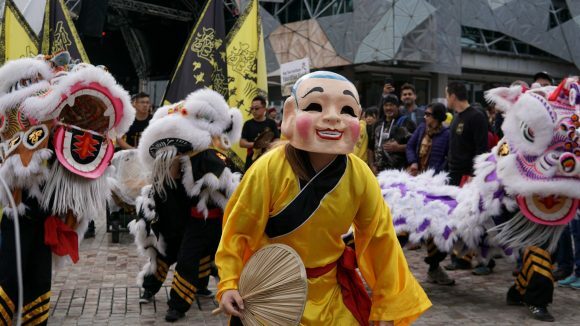 Discover Melbourne’s favourite French gourmet destinations, especially on 14 July – Bastille Day! 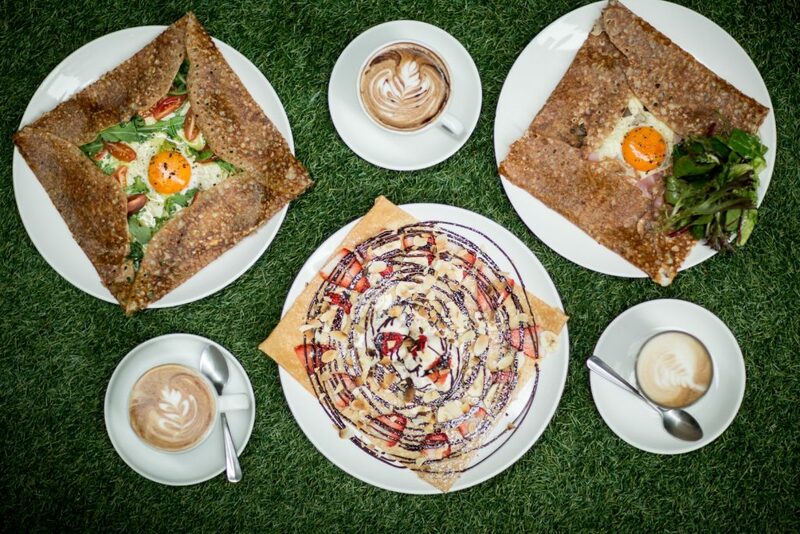 The French region of Brittany is renowned for its buckwheat savoury pancakes, known as galettes. Take a gourmet journey of discovery without the airfare at Roule Galette, where fillings include scallop, pork sausage and several cheesy options. Of course they have sweet savoir faire too, offering crepe bait such as homemade salted caramel, plus French wines and cider. This contemporary French bistro is named after Europe’s gypsy travellers, so expect more than the usual Gallic classics. The flavours of Spain, Italy and the Mediterranean are also prominent at Bistro Gitan, which boasts pleasant views of Fawkner Park. The chic décor says 21st century, but The French Brasserie’s menu is all about tradition. From escargots and cassoulet to crème brûlée, it will set off accordion music in your head. 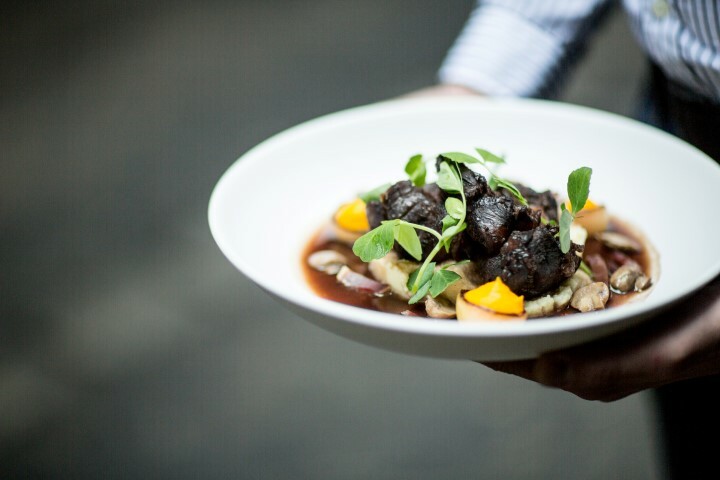 On Wednesday nights in winter, say bonjour to the boeuf bourguignon and a glass of wine for $40. Inspired by Paris steakhouse Le Relais de l’Entrecôte, this restaurant is famous for its Cape Grim pasture-fed porterhouse. Entrecote – Paris Steakhouse & Winebar, which is opposite the Royal Botanic Gardens, does much more than beef though. Like $2 oysters and $12 Mumm Champagne during the daily 4-6pm happy hour. An instant classic when it opened in 1996, this bistro is like a petit slice of Paris in the heart of Melbourne. The trompe l’oeil painted ceiling, huge vintage French advertising poster and wood panelling will transport you before the first bite of bouillabaisse. Next to the Athenaeum and opposite the Regent, Bistrot d’Orsay is perfect for pre or post-theatre indulgence. Fancy a lesson in French elegance? 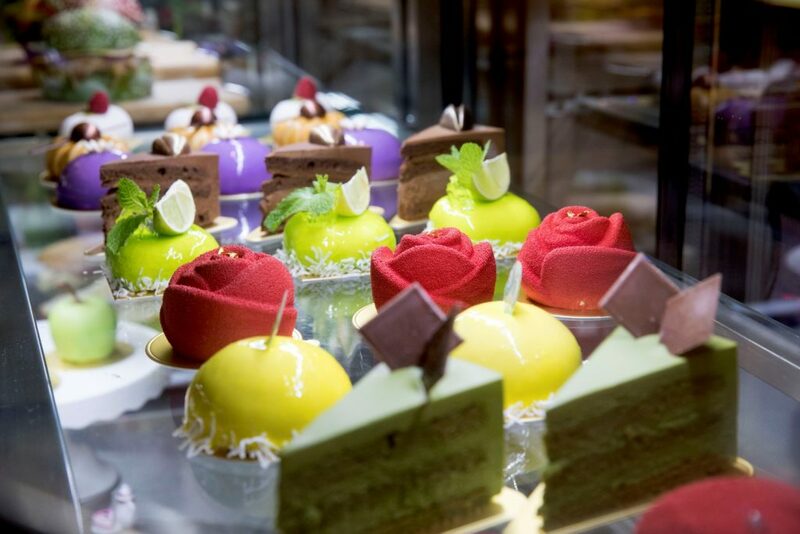 Nothing is easier or more delicious at Charisma Workshop, a cafe specialising in pretty cakes that look Paris-patisserie perfect. Don’t miss the winter special: a free hot chocolate, matcha latte, tea or coffee (including siphon) with any designer dessert order. One of Australia’s most acclaimed French chefs, Philippe Mouchel trained under Paul Bocuse and is a Good Food Guide Legends Award winner. So you know a meal at Philippe is going to be special, from hors d’oeuvres to petits fours. During winter, enjoy a live jazz duo, bar snacks and discounted drinks, including Champagne, 6-8pm on the first Monday of the month. Inspired by the crepe stalls of Paris, this former newspaper stand has been transformed into Melbourne’s sweetest little takeaway place. Being handed an authentic treat with a genuinely French-accented “bon appétit!” is an easy way to brighten your day. Especially on Bastille Day, when La Petite Creperie is celebrating with extended trading hours, decorations and live music. If you want to treat yourself to a sit-down feast, head to their sister venue in Hardware Lane. Guillaume Brahimi trained at three-star Michelin restaurants in Paris under celebrated chef Joël Robuchon before opening the Sydney Opera House’s flagship restaurant. These days his outlook is more smart-casual French bistro classics, so no need for tiaras at his Crown venture, Bistro Guillaume. 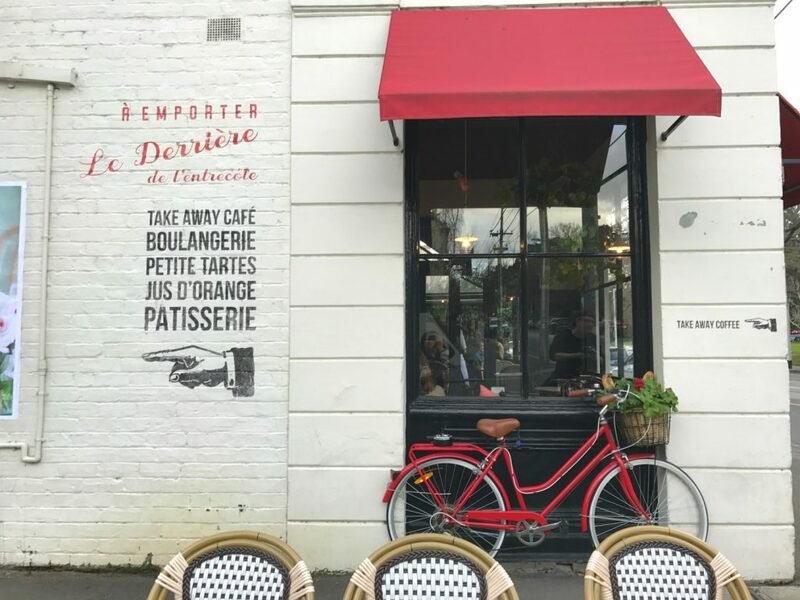 The très petit CBD offshoot of a South Melbourne Market favourite, Agathe Patisserie was an instant hit when it opened in 2017. Pastries of Parisian perfection, including almond croissants and escargots, await at an unexpected little serving window under some stairs in Royal Arcade. Bon appétit, treat-seekers! 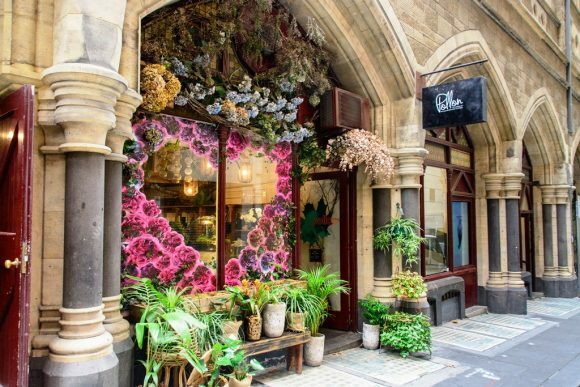 Attention Francophiles, lovers of pretty interior design and aficionados of dainty sweet treats – heaven awaits at La Belle Miette Hardware Lane and Collins Street! Melbourne’s go-to destination for divine macarons is retail focused (the boxes are gorgeous!) but there are a few seats for instant gratification. 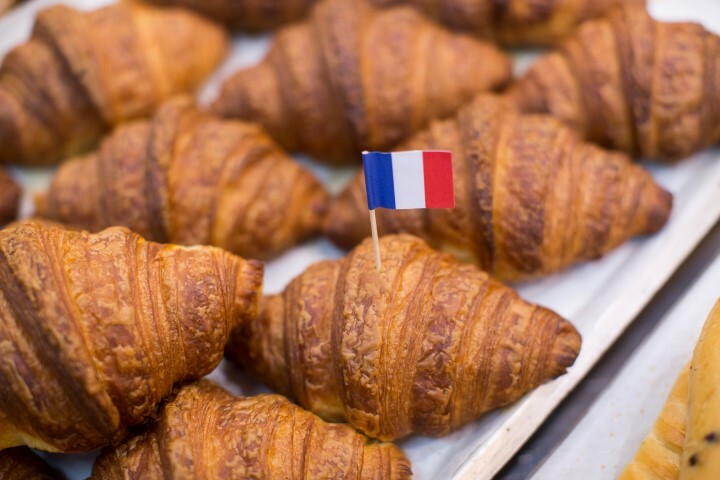 Food and wine are top of the agenda at the Bastille Day French Festival, especially at this big weekend event’s market. 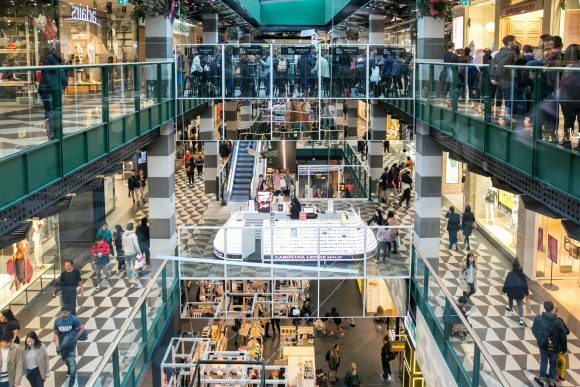 There’s much more to tickle your French fancy though, including an art exhibition, fashion show, live music, movies, masterclasses and workshops. Plus, you could win a trip to Paris – ooh la la!